PDF files or Portable Document Files are the widely used file format for documents. It is compatible with almost all platforms and independent of all hardware, software and any application. Therefore, it is the popular file format that is used to share any information across multiple platform. However, when a user sends any PDF file through MS Outlook as an attachment containing confidential information, then he does not want the data to reproduce or tempered by anyone. 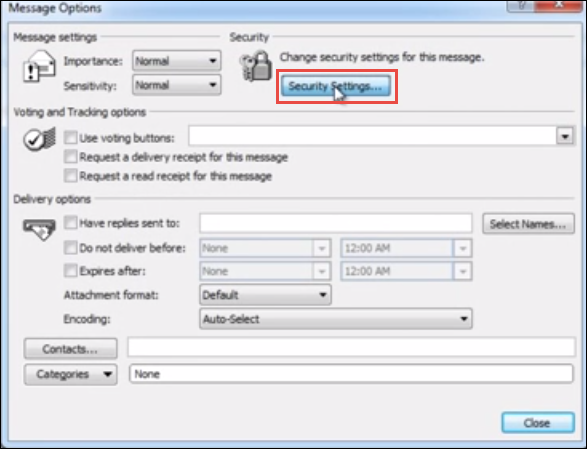 Therefore, there is a requirement to encrypt PDF file for email in Outlook. As it is the commonly used file format for sending information over any email application such as Outlook, it becomes necessary for a user to either password protect email in Outlook or secure PDF file with a password to restrict the access to a PDF file. Hence, in this, different manual techniques of How to encrypt PDF file in Outlook are discussed. One can limit the access to a PDF file document by encrypting it with a password or if a user wants to restrict only limited features such as copying, editing then it is also allowed. However, there are two types of password protections that a user can apply to protect PDF document. One is Document open password in which a user needs to enter password to open PDF and another is Permission password that a user can use to restrict some access to PDF file like editing, printing. Here, how to password protect PDF file in Outlook are discussed. 12. If the SECURED is displayed in the title bar that means encryption is applied successfully. Now, a user can use this protected PDF file as an email attachment in Outlook. Suggestion: It can also be possible that after some time, a user may forget the password of protected PDF, therefore, it will be beneficial if a user take backup of secured PDF document. Otherwise, a user can use one easy-to-use method also i.e. PDF Unlocker. It removes all type restriction and password protection from PDF file in an efficient way. To encrypt email in Outlook, a sender and receiver must share digital ID or public key certificate between them to access the email. 5. After that, compose your message and press Send button. 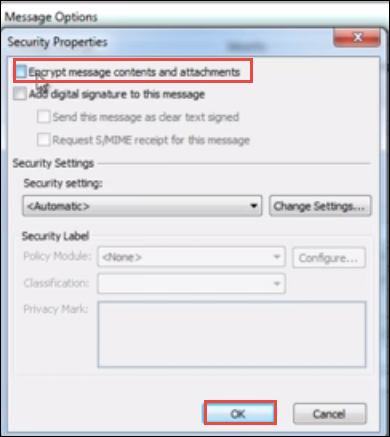 With this method, a user can send encrypt PDF file in Outlook application without any issue. 4. Now, every message you send will be in encrypted form along with attachments. Note: If a user forgets the public or private key that he use to decrypt the email, he can go for one trusted third party solution i.e. PST Password Remover. It will remove restriction from all PST file in Outlook along with attachments. After understanding the necessity of users to secure the PDF file with a password, we have discussed different manual methods that help users in understanding how to encrypt PDF file Outlook. One can choose any of the manuals to password protect PDF file according to their preference. In case, a user forgets the password or encryption can go for trusted third party solution i.e. PST Password Remover and PDF Unlocker.